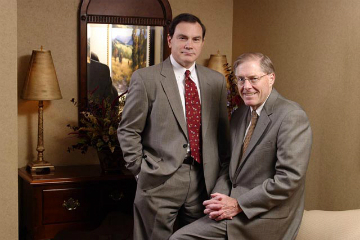 Founded in 1989, Jenkins & Kling, P.C. is a general business and commercial law firm located in St. Louis, Missouri. Our firm provides its clients with representations in a variety of areas of practice, including complex commercial transactions, litigation, business formation, lending, construction, and real estate and land use. Our firm's clients include businesses ranging in size from small startup companies to large, publically traded corporations, as well as individuals involved in business transactions or estate planning matters. Our firm's attorneys focus on developing a connection with our clients, which allows us to provide tailored services to assist our clients in meeting their long-term and short-term goals. The smaller size of our firm promotes cooperation between the attorneys, which allows us to deliver high quality and efficient legal services to our clients in a wide range of practice areas. 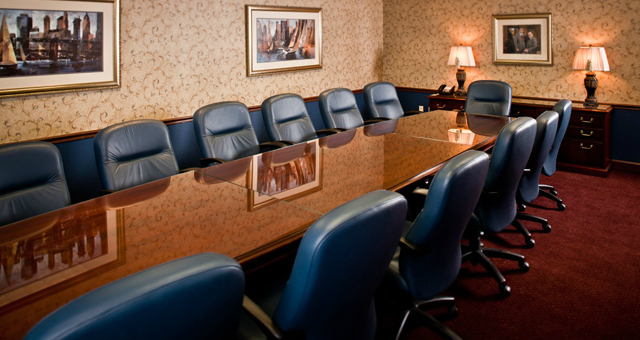 Our firms' size also allows us to minimize overhead and, thereby, offer competitive rates to our clients. We pride ourselves on the quality and experience of our attorneys, many of whom have been recognized nationally in their practice areas. Our attorneys' attention to detail and client-focused approach allow our firm to provide high quality, efficient, and effective legal services designed to help our clients further their business goals. The traditional values of pride, integrity and accountability, so often overlooked by many lawyers practicing today, are cherished and preserved by the law firm of Jenkins & Kling, P.C. The respect of our clients and fellow attorneys is of the utmost importance to all of us, and we constantly strive to maintain the standard of ethical and professional behavior mandated by the American Bar Association and by the code of ethics which governs the conduct of all licensed attorneys throughout the United States. Our staff members exemplify these same traditional values - each member of our support staff is highly qualified, and all are trained to assist clients with those matters that do not require the advice or supervision of a licensed attorney. Because we believe that personal service is invaluable, telephones are answered by people rather than computers. All members of our staff are knowledgeable, personable and eager to serve our clients in a friendly and professional manner. A visit to our web site, or an inquiry or contact by you through this site to our firm or any of our attorneys or staff members, shall not create an attorney-client relationship. Do not send us any information that you consider confidential or background or strategy regarding your matter unless and until you receive a written statement from us that we represent you (an engagement letter). The material offered on this site is provided as general information, not for the purpose of providing advice. The choice of a lawyer is an important decision and should not be based solely upon advertisement. I fully understand the foregoing and have had a full opportunity to discuss any issue with my acknowledgment with independent advisers or counselors of my choice. Stephen L. Kling, Jr. has been named Best Lawyers® 2016 "Lawyer of the Year" in St. Louis for Land Use and Zoning Law. We strive to deliver a level of legal services that exceeds the expectations of our clients. © Copyright Jenkins & Kling. All Rights Reserved.